Maybe you’re planning a doggie door or perhaps you’ve already installed one and discovered the freedom a doggie door gives owners and the confidence that pups get from having their own freedom to go outside when needed. This article isn’t about doggie door installation. 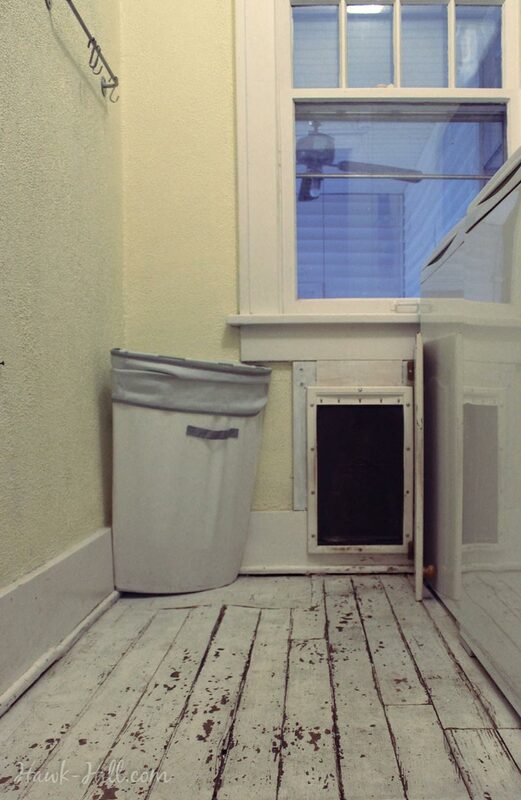 (Although, let me say, installing a doggie door into an exterior wall of my 100-year-old brick home was worthy of a novel) Instead, we’re talking about style, cleaning, and convenience upgrades to a standard doggie door. Mud and debris are one of the most solid arguments against doggie doors but, to me, don’t outweigh the convenience inherent in how a doggie door ends indoor accidents. With fluffy poodle-paws and Bald Cypress trees (which shed clingy pine-needle like debris) I had the opportunity to develop some tricks and tips to keeping paws clean for pups who use doggie doors. The best method is to make sure paws get wipes before and after using the doggie door. You can help paws naturally clean by filling an area about 5ft x 5ft around the exterior entrance of the doggie door with pea gravel. On the interior of the doggie door, as the pup enters the home, be sure to place a rug. Rough-bristled front door mats work best to help collect debris from paws. Even better than rugs inside is a patch of AstroTurf outside. A traditional rug can help dry paws but does nothing to rid the paws of debris, pine needles, or dead leaves from paws. The soft pieces of grass in deep astroturf (not putting-green turf) help pull leaves and debris from paws. Because astro-turf can be hosed off regularly, it’s a great way to minimize mud entering the home as well. You can buy the deep turf I think works great for hairy paws by the foot on Amazon. In this article I wanted to show how I reused a cabinet door, salvaged from a habitat for humanity ReStore, to replace the ugly and largely ineffective doggie door cover to close the doggie door during storms, fireworks, or other times I wanted to make sure my dog stayed securely in the house (or didn’t trust a plastic cover to keep intruders out). This closure came about out of a need to deal with a highly anxious Airedale terrier whose storm anxiety was so extreme that she would throw herself against the flimsy plastic cover until it popped off the pet safe door from sheer force! In order to help this high anxiety dog stay safe during storms, I needed a better cover. 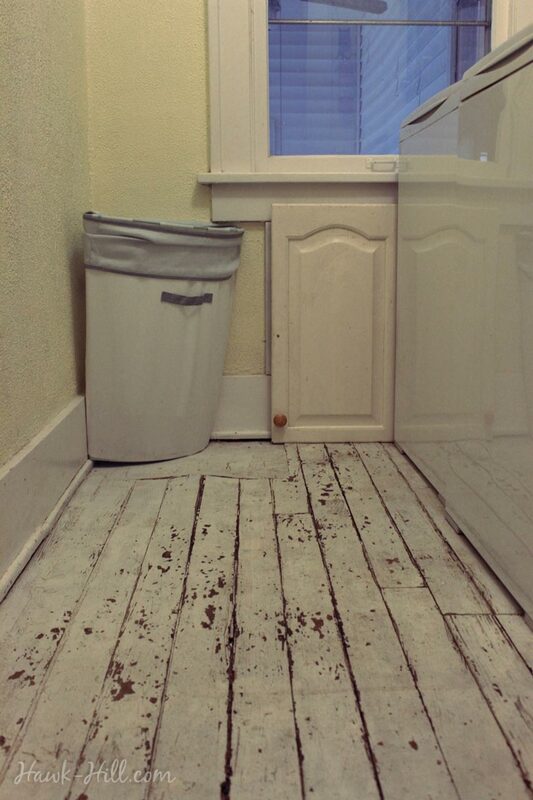 My situation required a more solid solution: a wood door. The first step was to frame my pet door with wood. This improved the aesthetic of the doggie door and allowed a secure place to attach hinges. Next, I located a piece of wood to use as a cover. My local ReStore stocks cabinet doors in all sizes for about $2 each, so I knew exactly where to go. For $2 I picked up a finished and trimmed piece of wood that already had a knob and stain resistant finish that was easy to wipe clean. Attaching hinges to my cabinet door and then attaching the door, via hinges, to the trim around my doggie door was easy. This quick project produced a secure cover for my doggie door. Because I needed only to lock dogs in the house, and my dog never learned to open the door inward, a lock or latch was not necessary. A sliding bolt, a swinging latch, or horse stall door hardware would work as latches for a good doggie door cover. I regret that in the time before my career change (that required a move to Seattle) I didn’t get a chance to finish this project. 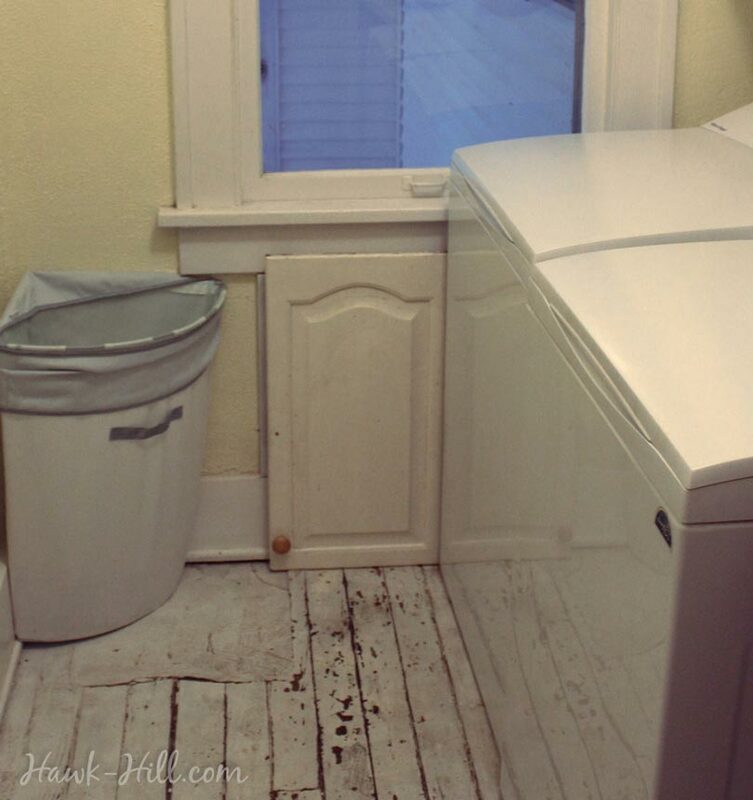 I always thought this doggie door would look charming if the interior, which opened into my laundry room, was framed with a few scraps of crown molding.